Investors from China, Russia, Turkey, Iraq and Lebanon account for 80 percent of all visas issued under Greece’s golden visa program granting five-year residence permits renewable for third country nationals who purchase – individually or through a legal entity – property in Greece valued at a minimum of 250,000 euros, or who have taken out a minimum 10-year lease in hotel accommodation or tourism facilities. Besides offering residency rights to applicants’ families, the Greek investor visa program offers instant access to the Schengen Area, making it one of the most attractive residence-for-investment programs in Europe. 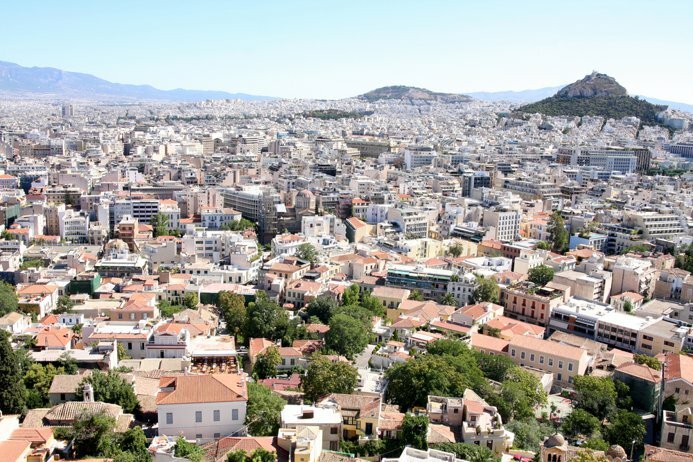 Indicatively, according to the Bank of Greece, the number of transactions completed in 2017 by foreign nationals in the Greek real estate market exceeded the 2016 figure by 87 percent and in January 2018, the figure was 205 percent higher than the year before. So far, Greece has issued 2,300 golden visas (up to 5,700 if family members are included) between 2013 and 2017, according to Enterprise Greece data. At the top of the list are China, Russia and Turkey. According to property brokers Tranio, 1,011 Chinese investors (2,525, including family members) were issued golden visas over the 2013-2017 period. Chinese applicants spend an average of 550,000-600,000 euros – double the minimum requirement – on newly built residential real estate located near beaches, shops, public transport stops and international schools. Russian nationals were granted 395 golden visas (907 plus family) in the same period, accounting for 16 percent of all golden visa applicants. 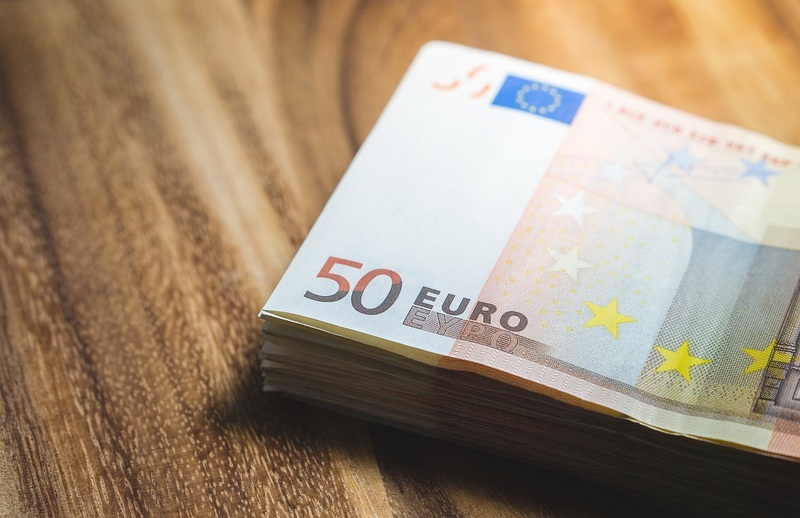 Russians spend the minimum requirement of 250,000 euros on residential property in Thessaloniki and in the Athens suburbs of Faliro, Glyfada, Varkiza, Voula, Vouliagmeni. 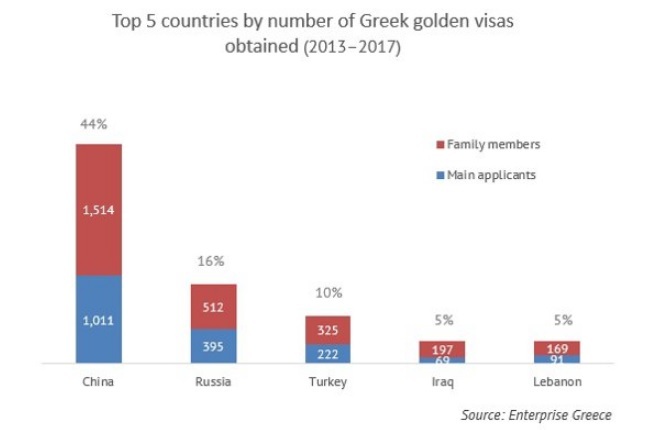 Investors from Turkey received 222 visas (at 547 with family members included) seeking Greek residency “for future use” due to the political instability in their home country. 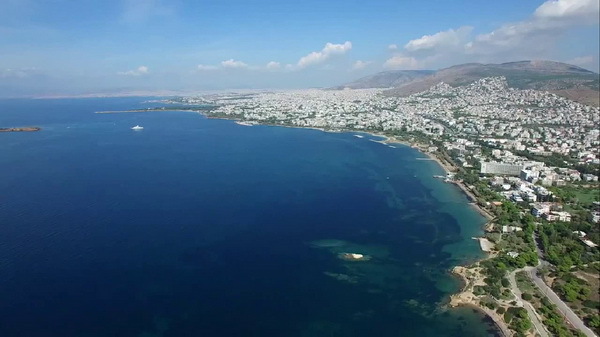 They opt for property in Athens, Kolonaki, Psychiko, Glyfada, Voula and Vouliagmeni usually to rent out or use as holiday homes, as well as resort properties, shops, hotels, land plots and parking lots. Together with buyers from the UK, Germany, France and Italy, Turkey nationals are considered the most dynamic investors in Greek property. Meanwhile, Iraqi and Lebanese nationals, with 266 and 91 golden visas respectively, prefer to purchase property for their families benefitting in the meantime from the right to enter the Schengen Area visa-free.